Holidays in North Cyprus should be on the "must visit before I die list" for all you European travel junkies. From a global political view, the north is said to be unrecognised, however it is recognised as the Turkish republic of North Cyprus and controlled by Turkey. However, how can one ignore such a beautiful (and extremely friendly) place to visit? 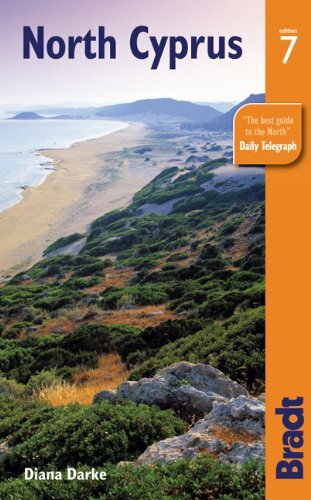 If you are planning holidays in North Cyprus – read on! Kyrinia, also known as 'Girne' (which is the Turkish translation) is town on the northern coast of the Cyprus. It is a harbour town with a beautiful view of the Mediterranean Sea. The people are predominantly Turkish Cypriots, British residents and Turkish immigrants - again, all very friendly. Holidays in North Cyprus cannot start in a better location than that right? Let's explore. The town is formed by multiple large families who have occupied the land for decades (I spent time with the locals). I have mentioned twice how friendly they are as people; this is due to them having strong family values and a welcoming lifestyle. To use of a better phrase, the locals in Kyrinia are very collective and are eager to have tourists involved. I have firsthand experience - I was allowed to help around in a local farm. I must admit, we would be completely lost without our travel guide. The most beautiful part of Kyrinia is the Kyrinia Harbour, more on this in the food section below. As a resident of the United Kingdom, we drive on the left side of the road. The north is one on of the only other countries that also drive on the left side of the road. This made it easy for us to rent a car, buy a travel guide and explore the entire Island for ourselves (the right side confuses me). We travelled a bit. The food in North Cyprus is amazing, the portion sizes can feed 2 people and pretty much every house has their own vegetable garden. Can someone say fresh salad? The best way to describe this place is as follows - 'An all around solution to having REALLY good time in Cyprus”. Although it is called the Kaplica Bungalows, it is much more than that. It is a hotel/bungalow complex on the beach front with a purpose build beach bar and a separate restaurant. The restaurant has massive windows that slide open to give it an outdoor feel. What is awesome about this place is the location. Not because of the amazing beach and sea front but because of the food. Because of its location, it is close to popular fishing spots. The Kaplica Bungalows have dedicated fishing experts that bring in fresh fish EVERYDAY! This caused me problems because the meatballs were MOUTH WATETING so I ate both. The rooms are very comfortable and spacious with its own A/C units and the owner is the (guess what I am going to say…) friendliest person I have met with more stories than JK Rowling! Calling it a harbour is a slight injustice. It is much more than a harbour. It is more of a strip of locally owned boats, lined with seating areas of beautifully lit bars and restaurants. A side note – Efes is the most popular beer in North Cyprus, once you sit down, you will be asked if you want an Efes! Moving on swifty, for a reasonable price (50 Turkish Lera per person or 15 pounds) you can have a 5 hour cruise in the ocean. Coupled with a late night swim and mouth watering dinner it is something I would strongly recommend. Firstly I want to clear something up, travel websites will tell you that in June it is 30 degrees. It was never that cold! On average I would say it was 37 degrees with the highest point being 43 degrees. Well the main walk (Kantara Castle) we decided to do was on the hottest day (great choice I know); bring your sun cream kids! Kantara castle: If you are scared of highest then just becareful with this one. The castle itself is hundreds of feet above sea level (appox 2000 feet). I am officially scared of heights - the picture below was just about half way up to the highest point. This is just a small part of my experience in Kyrinia. I am looking forward to my next visit. I will reveal more wonders.